Sometimes the archives can make things too complicated. White fundamentalists have always been accused of racism—a charge they’ve vehemently denied. But what do we do when an African American fundamentalist agrees with the racism of his white fellow fundamentalists? First, a quick historical sketch: Since the 1920s, as I argued in my first book, fundamentalism got tangled up with ideas about Southern Pride. 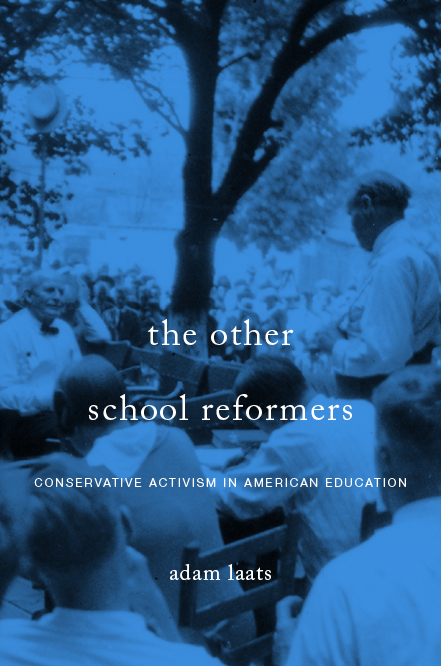 Conservative religion has often become part and parcel of a broader cultural conservatism, one that included support for racial segregation and white supremacy. By the 1970s, leading white fundamentalists became some of the most public supporters of racial segregation. Most famously, Bob Jones University steadfastly clung to its whites-only policy long after many white Southerners and white fundamentalists had grudgingly moved on. Some historians, such as Randall Balmer, have insisted that white racism among fundamentalists was the real root of the so-called New Christian Right that emerged in the 1970s. I disagree. There is no doubt that white fundamentalism—especially in the South—has long had close ties to white racism. There is more to the story, however, than quick condemnations of conservative religion as a front for white supremacy. In my recent work at the archive of the Moody Bible Institute, I came across a document that reminds us how messy history is. In 1970, the leaders of Moody dis-invited prominent fundamentalist John R. Rice from Moody’s big annual Founder’s Week event. Why? Because Rice had come out in support of the segregationist policies of Bob Jones University. Moody Bible Institute has for 85 years welcomed young people of all races and nationalities to its tuition-free training in the Bible. Through times of changing social mores the policy has always been to emphasize the salvation from God by which all men who believe are made one in Christ. We have sought, and do seek, to apply the spiritual principles set forth in the Word of God to the practical problems of our culture. We believe that there is nothing in the Bible that forbids interracial relationships. We are absolutely opposed to injustice and exploitation. We are dedicated to the proposition that we are debtors to all men. Moody Bible Institute, Culbertson told anyone who would listen, still agreed wholeheartedly with John R. Rice’s fundamentalist theology. Moody refused to compromise with those who would modernize the Bible or water down fundamentalist religion. But Moody could not be seen as part of a racist, segregationist movement. moved one more step away from the great revival that is blazing across this land into the camp of lukewarm churches that make God sick. I do not suppose that anything that I have said will make any difference to you or Moody Bible Institute’s position. Years will come and go and Moody will ‘go the way of all flesh,’ while the Moody Memorial Church continues to dry-up on the vine. Dinkins’s letter raises difficult questions about race and religion. First of all, we wonder if this letter was legitimate. Could someone have faked it in order to create an impression of biracial support for racial segregation? If not, we wonder how common such sentiments have been. As historian Jeffrey Moran has argued, white fundamentalists have long tended to ignore their African American co-religionists, at best. And, as John Dittmer and others have showed, in the early days of the Civil Rights movement many African American leaders in the Deep South supported segregation, at least temporarily and pragmatically. In the early 1970s, was there really any support for racial segregation among African American conservatives? Did fundamentalism trump race? Good questions I can’t answer, but I am sure there have always been a range of opinions including support for racial separatism among black Americans. I still think Balmer is right too if you modify him in the direction of Corey Robin’s thesis that all conservatism is about reaction to the expansion of equal freedoms and rights to the perceived “lower orders” of society. It’s often not a conscious or articulate racism, but it’s often rooted in racial fears. In fact you could say the effort to build private “Christian” institutions and enclaves that just happen to to be all white is in some way an effort to deny a fully racist expression of the same fears and resentments that others express in the stark language of racial separatism. From the part you quoted, it doesn’t sound to me like Dinkins was supporting racial segregation, but rather segregation of religious and political views. To him, fundamentalism was the important thing, and he didn’t like to see fundamentalists divided over the issue of civil rights. Again I haven’t read the whole letter, I’m just judging by the part you quoted. I think you’re exactly right, but I still find it surprising to see an African American actively support a white segregationist. In general, I don’t find it surprising, historically speaking to see African Americans who support racial segregation for a host of reasons, but this letter was a departure because it prioritized religion over race. Historically, that is an unusual position. Most African American conservatives–of which there are very very many, of course–have tended to refuse to support actively white segregationist co-religionists. I think that’s because we have come to define racist attitudes per se as sinful, as opposed to sinful actions such as racist violence, which were always easy to identify as evil. I suspect that Dinkins’ view was that support for a school remaining segregated was a prudential matter, not a doctrinal one, and therefore something on which people could disagree in good faith, while remaining fellow Christians. Obviously that attitude is foreign to modern sensibilities, according to which anything even remotely savoring of racism is irretrievably evil. I think that is probably true of Dinkins in 1970, but disagreeing “modern attitudes” would include his daughter and most African Americans after the civil rights movement probably because they saw how it’s not possible do practice segregation without doing wrong to others in a basic moral sense. Rev. Dinkins was a 1st Lt. in WWI and President of Selma University from 1932-50. In his church’s history younger members of his family and church are noted as being part of the Civil Rights struggle, while he and his wife are remembered only as educators. His daughter Pauline married a pastor (L. L. Anderson) who was involved in the Montgomery bus boycott which the Selma black community looked on as risky and doomed (according to Pauline) — especially the teachers who were very slow to join the movement out of fear for their jobs. The Andersons ended up organizing and marching in Selma (and going to jail repeatedly) in advance of MLK’s arrival there. In 1975 Rev. Dinkins, by then 86 years old, was ejected (for being black) from a whites only Baptist church where he had come to see a revivalist Dr. Charles Swor, whom he admired. And this happened despite his age and the protests of a white friend who was accompanying him and explaining who he was.